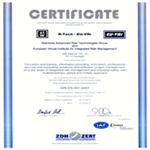 STEINBEIS ADVANCED RISK TECHNOLOGIES INSTITUTE DOO was founded on March 2015 in Kragujevac, Serbia as the Franchisee of Steinbeis GmbH & Co. KG für Technologietransfer (StC), Stuttgart, Germany. The Steinbeis Advanced Risk Technologies Institute doo Kragujevac is one of more than 1000 Steinbeis units present in 50+ countries in the world. The Institute is a branch of the Steinbeis Transfer Institute Advanced Risk Technologies and is offering as part of the Steinbeis University Berlin professional certification and degree programs. The aim of these programs is to match the current needs of Industry, Research and Development and Regulators in the areas of Business Administration, Risk Engineering and Management, Safety and IT. One major purpose of Steinbeis Advanced Risk Technologies Institute doo Kragujevac is to open, as a local company, the doors for Serbia to participate in the Steinbeis network and to benefit from this knowledge-transfer network between research, politics and industry. Our main philosophy is to employ only the best among the best experts, using the latest technologies and with the target to become one of the leading institution in the field of interdisciplinary computational and biomedical engineering research as well as software development. The Project Competence Concept, based on the German dual education system, is implemented in every degree offered by the SHB. In concrete terms, students willing to enroll must have a sponsoring company or organization. They shall work for two years on a project in their companies and gather every 4 months for 1 month courses. Through the real-world projects mentored by industry experts and by providing tangible outcomes, the two-year project in the sponsoring company gives students the tools, competencies, network and confidence they need to boost their career as well as the support to finance their study. This module introduces the economic framework needed for managerial decision-making. Therefore, different basic concepts in economics are presented such as consumer behaviour, production concepts and cost concepts. The module will further focus on the relation between input demands and output decisions in competitive markets. Macroeconomics as well as microeconomics will be presented and an insight will be given into alternative market structures and today’s pricing practices. This course focuses on the financial impacts of globalization. The course analyses potential risks and the extent of change in the global business environment. The macro level will be discussed and important theories presented. Additionally, stock market, booms and bursts will be analysed, as well as social aspects influencing the economy on a global level. The participants will be able to understand better how the financial crisis in 2008 started and how it impacted the global market. The course in Microeconomics examines the micro-level of the economy (individuals, companies, industries). How are decisions made? Which motives are the bases for decision? Which theories and models are the bases to describe the process of decision-making? With this knowledge, it will be understandable for the participants how to describe and calculate the optimal decision, the role of supply and demand, the rationale behind pricing, production and the influence of the market structure itself. This course in Managerial Economics focuses on the practical implementation of economic principles and theories and educates students how to apply them in decision-making situations within organizations. Those decisions are always made under conditions of risk and uncertainty but can be improved through a sound understanding of the external environment and the use of appropriate tools and techniques. This module examines the legal controls on government regulations, in areas such as business registration, trade mark registration, taxation, labour-management relations, and more. The topics covered will provide answers to the questions related to business registration and business running, as well as the protection of business process from competition. Also, the module will provide answer about best business structure and business ownership. The course provides necessary knowledge for understanding institutional surroundings influencing business processes. In order to start a business, the knowledge about different structures, taxes, trade agreements, contracts, export issues is needed. The course focuses on necessary tools and instruments for executives to understand labour-related issues. The managers will need to have knowledge about current labour force, its obligation and rights. The knowledge will be useful in negotiation and managing process. This module provides techniques and instruments required for understanding the processes of project development, management and organization. The entrepreneurship process starts with an idea that needs to be turned into a business. During the process of transformation of an idea into a business, knowledge about project management and organization is needed. The module will provide knowledge about organizational, managing and strategic decision processes enabling the transformation of ideas into a commercial success. The course provides knowledge related to the development of the ability to plan, conduct and write scientific work such as transfer work and documentation, feasibility studies and different reports. Also, the course provides knowledge about literature usage, acquisition of scientific argumentation, conclusion and making presentation of results. The course ensures knowledge needed for the understanding of basic tools and instruments of project management. The processes of project management, monitoring and measuring project success are crucial in today’s modern business environment. The course presents tools and processes used in modern project management, along with techniques used in project organization and management control. The course focuses on strategic, tactical and operational information system needed for project organization and management. Also, it presents the importance of information systems for project management, by simplifying processes of control and monitoring. The course provides basic tools and instruments for understanding the importance of organizational management in business establishment and successful business running. The organizational management helps in creating adequate organization for successful business development and earning profit in the market. The course will help participants to develop techniques needed for making organizational structures adjustable to dynamically changing environment by which an organization is able to react to market changes. The course presents methodologies and techniques necessary for understanding IT position in decision-making processes. The information technology is an important tool in creating successful structure that will influence business level of efficiency and profitability. Also, it will provide an adequate level of knowledge needed for understanding of e-business and modern IT surroundings. The module provides adequate methods and instruments needed for the understanding of entrepreneurial process, from the idea generation stage to the marketable business. It contributes to better understanding of the factors distinguishing successful form unsuccessful entrepreneurship projects. Also, it provides corporative governance models useful in entrepreneurial process along with strategic management process. This course analyses necessary expertise in the field of project’s challenge and project marketing. Also, it develops skills needed for understanding of all phases of business development. The students will acquire necessary techniques for defining clear strategic goals and factors influencing business future. The course addresses theoretical and practical knowledge necessary for creating entrepreneurial activities. In order to do so, students need to understand differences between idea and business, steps to be taken and problems arising in the process of transforming an idea into a real business. Also, through case studies, different entrepreneurial challenges will be presented to understand how complicated it is to develop an entrepreneurial activity. The course provides knowledge which will be useful in understanding innovation process and innovation management as a crucial tool in acquiring successful market position. In dynamic world, with constant changes, it is of the utmost importance to continually improve production process, product and services. The course will help in developing tools for creating innovative organization within business which will be oriented towards acquiring and developing new ideas and innovations. The course analyses tools and techniques necessary to understand different corporative and strategic analytical tools and methods for successful entrepreneurial activities. The participants will be able to make decisions based on different complex economic and strategic interrelations. The course addresses techniques and instruments needed for defining adequate business strategy. The participants will be able to conduct analysis, collect information, make conclusions and create business strategy based on realistic information and true predictions. The course will help participants understand the complexity of the surroundings needed to acquire adequate business development strategy. The course helps participants in understanding enterprise strategies in earning profit in a competitive market. The participants will be able to define different levels of strategies and different instruments used in obtaining defined goals and aims. The course also provides methodology for defining strategies at different levels of decision-making in the companies. The module focuses on techniques and instruments related to defining critical marketing strategies. 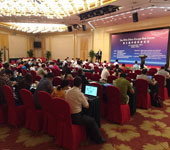 The participants will be introduced to the marketing tool helpful in defining market, customers and post-sales process. The course will present quantitative and qualitative techniques related to market research, competition, loyalty and expanding market. The course provides an overview of classical tools used in defining marketing strategy in a fast changing world. The participants will acquire methodology for practical use of the marketing mix. Also, it will help participants to better understand the purchasing process and customer decision-making process, which are presented though a number of case studies. The course introduces techniques and methodology for acquiring information about market for developed production. In order to make adequate business decision, an entrepreneur needs information related to market structure, competition, level of technology, number of customers, post-sale procedures, etc. The course provides participants with methodology related to consumer behaviour and knowledge about how to influence it using different instruments. The marketing goal is to make a product or service visible and recognizable in the market. The participants will be able to use different techniques for assessing current marketing position and possibilities for positioning in the future. Successful businesses can be characterized by a comprehensive integration of the interrelation between money, information and operations. Every organization needs to find and manage resource today in order to produce added value for tomorrow. This module presents the financial scope from day to day operations in terms of accounting to the overall financial strategy of business development. It displays how financial information can be found, assessed, communicated and be used as a basis for forecasting and strategic decision-making. This course aims to introduce attendees to the wonderful world of accounting. After gaining an overview of its principles, main methods and tools, a sheet full of numbers will not be able to hide any secret from them anymore. The understanding of balance sheets and profit and loss accounts will empower attendees to assess and appraise the financial situation of a company. Beyond the ability to find and understand this information, the course also aims to highlight how to produce it. This course complements and deepens the knowledge of attendees concerning the practical application of accounting principles. By putting them into position to use cases, the course will show how the methodology and the tools can be implemented to forecast future financial results, asses a company’s value and its impact on strategic decisions. Financial reporting and controlling are seen as a practical implementation of the accounting and financial analysis principles learned in this module. This course puts emphasis on demonstrating how those principles and the related vocabulary can be used for communicating information and as a powerful tool to evaluate and monitor corporate performance. The purpose of this course is to make a bridge between financial principles and actual corporate business operations. Attendees will be introduced to investment calculation for specific projects as well as for over-all business development. They will understand the ins and outs of the different sources available for financing business and become able to assess the adequate capital structure for a given company. This course focuses on the practical implementation of accounting and corporate finance concepts in an integrated system, taking into account the stakeholders using it. Attendees will be faced with actual tasks that controlling encompasses, they will learn the right processes of budget preparation and be able to use the obtained data to make sound decisions based on their forecast. The module examines the international business environment and its impact on management strategies. It focuses on the organization, operation, and management of multinational business ventures. It emphasizes cross-cultural communications, and issues of control and staffing for business operations in foreign countries. This course presents the specificities of cross-border economic activities. After providing attendees with the theoretical basis of international trade, it will present the evolution of the regulation and the current debates regarding trade agreements and international organizations. Macroeconomic aspects will be tackled as well as their practical consequences for companies engaged in foreign commitments. This course aims to introduce attendees to international business management. They will learn about the driving forces that shape the international environment, with a special focus on the globalization of information and communications techniques, which increase the importance of the Internet and the e-business. The course will then highlight the regulations and techniques to enter a foreign market and present the tools needed to face their specific challenges. In times of ever-increasing globalization, cultural differences and multilingual issues play an important role in the area of business communication which can easily fail because of apparently banal issues. This could be of particular importance in collaborative international projects as well. A cognitive approach toward cultural and national differences will be used throughout the training. As an organizational environment is becoming more and more collaborative, future leaders have to rely on ‘soft skills’ to successfully lead their team or organization. In this module, attendees themselves will become the central topic. They will get acquainted with their own impact on others and learn concepts and techniques to improve it. The course analyses main theories and empirical findings related to social and emotional development. A significant part of topics will be covered including the self and social cognition, achievement, antisocial behaviour and differences in social and personality development. The impact of strong social contexts, such as business human environment, on individual development will be also reviewed. Being part of a holistic human resources approach, this competence management course will be relevant for attendees on two levels. On the one hand, they will be introduced to a framework aiming to assess and develop their own skills and competencies. On the other hand, they will learn how to use the gained knowledge to strengthen the human capital in their companies by developing and retaining talents. The module will provide attendees with adequate methodologies and tools for understanding and developing leadership, organizational behaviour and human resource management. These tools are useful in dynamic business surroundings for achieving profit and running successful market game. The purpose of this course is to raise attendees’ attention on their own leadership skills and give them a scientific basis as well as practical techniques. Based on state-of-the-art researches including social psychology, sociology, communication, neurosciences and philosophy, attendees are encouraged to think about their own behaviour and its impact. Through the gained knowledge, they will increase their ability to lead, even without formal authority and in an international environment. The developed skills will improve their daily work and prepare them for extraordinary situations such as crisis or organizational changes. The 21st century has witnessed structural transformations of working places and overall work organization. From the nowadays classical open-space to the table football and tennis facilities provided by some companies for their employees, the issue of organizational behaviour and the influence of the work environment became a central concern in a wide range of companies. This course aims to highlight this evolution, looking at those issues and present solutions. It will describe the individual or micro level but also present findings on the organization or macro level. In the collective psyche Human Resource Management (HR) is often associated with the basic tasks of hiring and releasing staff. The impact of an efficient HR strategy on the daily business activities is repeatedly overseen. This course highlights the broad scope covered by HR management, giving attendees the keys to integrate it into the overall organization’s strategy and making them understand how it can be a source of sustainable competitive advantage. Fundamental theories of actuarial science in life insurance, health insurance, liability insurance and reinsurance are presented. It shows how to make business decisions and generate ‘reasonable’ solutions by applying the presented models and theories. The module enables participants to understand and use the mechanics and techniques of the assessment, quantification and management of credit risk in the banking, insurance, asset management and enterprise environment. The aim of the module is to understand and implement the basic concepts, methods, products and measurement techniques of financial risk. Practical examples with the state-of-the art tools are applied by each student in terms of self-study and independent work. The course complements other courses devoted to technical and engineering issues of risk management in industrial plants (petrochemical plants, process industry, power plants, etc.). Technical risks in the above plants can be a cause or a contributing factor of the business continuity. The final outcome of the technical/engineering activities is practically always seen on the background of business implications and implications/impacts on the business activities of a company. The insurance aspects are the most relevant practical aspects linking the engineering and business side of the company operation and asset management: therefore, these will be tackled, too. This course aims to present fundamental theories of actuarial science in life insurance, health insurance, liability insurance and reinsurance. It shows how to prepare business decisions applying the presented models and theories in order to generate ‘reasonable’ solutions. After an introduction to credit assessment methods, the course will tackle several aspects of credit and credit risk by presenting the different approaches and their related concepts and tools. The course enables participants to understand and apply the mechanics and techniques of the assessment, quantification and management of credit risk in the banking, insurance, asset management and enterprise environment. This course focuses on the basic concepts, methods, products and measurement techniques of financial risk. 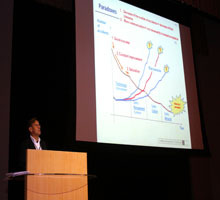 The presentation of scenario analysis, simulation techniques, as well as the Value-at-Risk concept and calculation, will show the specificity of the financial field and the related risk management strategies. Practical examples with the state-of-art tools are applied by the student. The course first focuses on identifying promising industries in a developing country and their interrelation with the banking sector. At the end of the courses students will have a basic understanding of hedging currency risk and interest rate exposures. Moreover, the students will understand the mechanics of global financial markets, the basic principles of risk management in banking, insurance, asset management and real estate. In this context, we will focus on pricing for financial products (risk-return-relation), the role of rating agencies and the corresponding methods of a quantitative and qualitative risk management. The course introduces the concepts of retail banking from a global perspective. We start with a description of traditional retail banks, card companies, social lending firms and microfinance banking firms. Then, an overview of the major retail banking products and differences of the retail banking practices in different regions around the world follows. The course closes with an introduction to rating techniques and quantitative risk measurement techniques. Credit rating agencies play a critical role in capital markets, guiding the asset allocation of institutional investors as private capital moves freely around the world in search of the best trade-off between risk and return. This course aims to guide attendees through ratings, the ratings industry, mechanics and economics of obtaining a rating, as well as to ensure they are able to grab investment opportunities for corporations with regards to the consequences and risks. Whether for industry or for individuals, tax became a major director of indirect expense which gave tax management an increasing and significant role in the same time requiring skills to understand various exemptions and loopholes. This course aims to present the basics of tax management and the principles of tax strategy, but also to highlight the consequences for the success of business. This will enable the attendees to understand the basic administrative issues and at the same time be aware of the richness of the context in which tax factors operate. Applying conventional Risk Management procedures and techniques in Real Estate is not possible and adapting them to this industry can be quite challenging. Risk Management in the Real Estate industry does not solely concern the portfolio but also risks inherent to the structure and those embedded in the full investment value chain. In developing the Risk Management framework, best practice linked to the industry will need to be considered. This course presents those issues with a special attention to two pillars of Real Estate portfolio risk mitigation: a sound monitoring system and a rigorous investment policy. By the end of the courses, students will develop an understanding of the dynamics and interdependence of financial markets. They will understand to compute, apply and interpret different risk measures and compute efficient portfolios with and without short sales. The computations will be performed by MS-Excel, using the statistical standard functions as the solver. This course presents a number of tools in order to make the exercise more straightforward, since there is not a unique function in Excel to run a full discounted cash flow model. This course aims to present Scenario and Sensitivity analyses as a means to (incompletely) anticipate the future. It will show their strengths and weaknesses as well as provide guidelines for their sound implementation. This course presents the computation and interpretation of Value at Risk and expected shortfall. 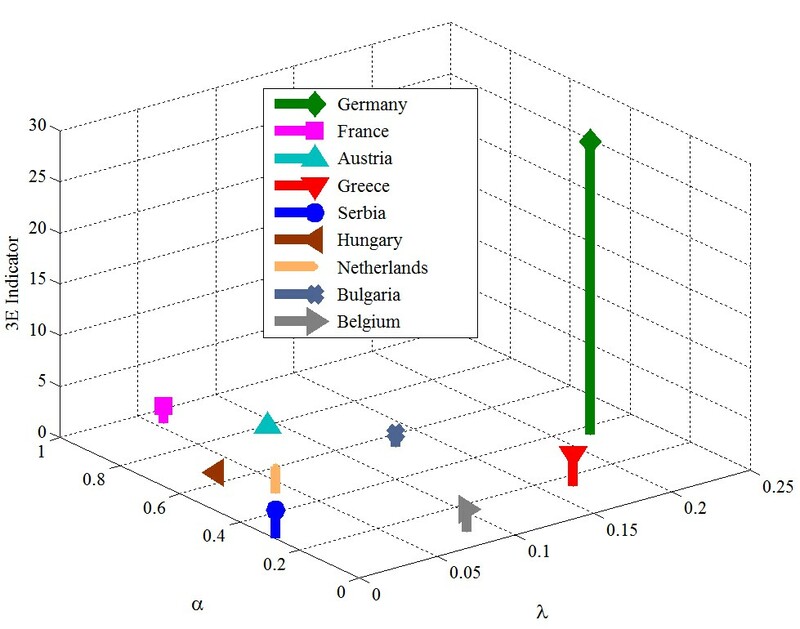 Computation of VaR, standard deviations, beta factors, and ES for a single asset, a portfolio and extension firms and countries will be performed by the students. Throughout the course of the program, students shall work on an admitted project (basis: project specification, project criteria, project work) in their companies or organizations (project sponsor), which is supervised by certified project coaches. Transfer paper (TA) is an evidence of the students’ ability to specifically transfer and utilize the knowledge obtained in a course attended in their projects or companies. The TA shall be prepared after the course and shall be presented in coordination with the responsible lecturer. The assessment of the TA is carried out by the responsible lecturer and further by a SHB examiner. It complements to the final grade. The TDR are important elements of the project and transfer-oriented Project Competence Program at the SUB. They are a unique, didactic concept developed in the Steinbeis network which supports students in acquiring knowledge and specific application. These TDR help students orientate themselves in the basic knowledge in the preparation and follow-up of the contact-time and transfer phases and apply the acquired knowledge by transfer to the business/project practice. In doing so, students can flexibly determine their individual competence development pace. In the Project Study Paper (PSA), students transfer and utilize the methods and knowledge acquired within the scope of the programs. PSA has to have at least 20 pages in writing and it is submitted by a student as a rule. 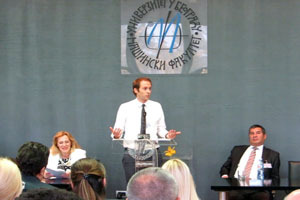 The PSA is presented and defended by the student in front of examiners. During studies, a student works on a project (project work, PA) in his/her company or organization (project client). This work is a basis for master’s thesis which the student has to submit at the end of the study program. The thesis is a practice-oriented, scientifically prepared document which reflects the knowledge and skills a student has acquired throughout the study program and applied to a project relevant for student’s occupational environment. The thesis shall prove the student’s ability to solve the specific problem in his/her company in an autonomous and methodical manner. As a rule, the project is defined and specified together with the student, the project client and the coach of the SHB upon the start of the study program (project specification).